CBDPure specializes in making a high-quality CBD, or cannabidiol, oil derived from certified organic industrial hemp grown in Denmark. The stricter, more stringent agricultural regulations of countries like Denmark and the rest of the EU provide a platform for the cultivation of hemp plants that are held to a superior standard. No pesticides or herbicides are used in the growth and cultivation of the crop and there are no synthetic or artificial ingredients added to the products. CBDPure sources hemp with a high CBD content that is safe and non-psychoactive. CBD oil offers beneficial health effects without the side effects of prescription medications. 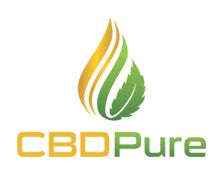 By using a clean C02 extraction system to isolate the CBD hemp oil, CBDPure’s extracts are environmentally friendly and non-toxic. Choose from three different 2 oz. bottles of varying concentrations. The base option starts at 100 mg, on to 300 mg, with the highest concentration being 600 mg per 2 oz. bottle. Offering a 90-day money back guarantee for all customers, CBDPure provides their clients with the opportunity to test the longer-term effectiveness of the CBD extract for themselves before making a commitment to the product. It is worth noting that the company ships to all states in the US with the exception of four – Arkansas (AR), Indiana (IN), Kansas (KS) and Louisiana (LA).